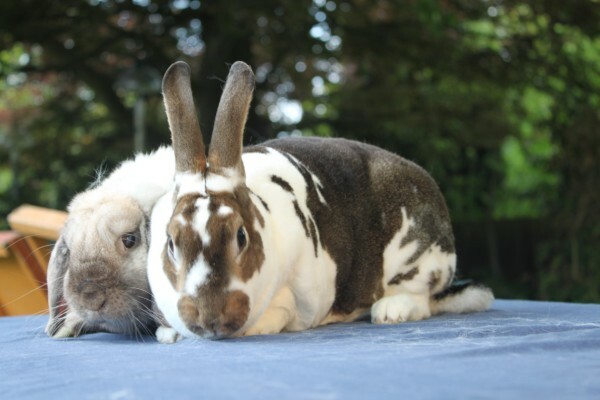 These two bunnies have been together for 18 months and are inseparable. 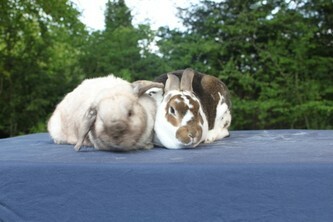 Caesar is a large brown and white Rex whilst Athena is a grey lop. They came to us because one of their owners was allergic to rabbit fur. 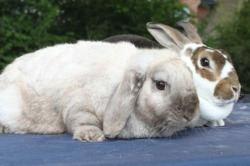 Athena is very laid back and easy to handle although she is quite large. Caesar is even larger but can get rather scared of new situations. 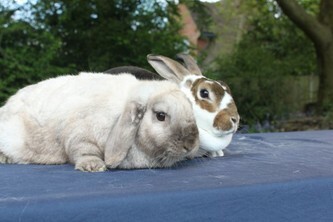 Over the weeks he has become more confident of being picked-up.